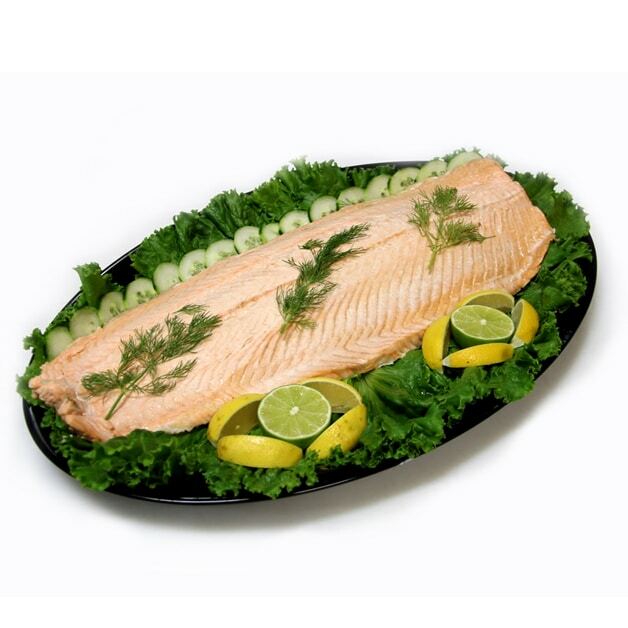 This whole and hand filleted farmed North Atlantic salmon has been poached to perfection with just the fillets displayed in the classic fashion. Served with lemon wedges, cucumber and yogurt dill sauce. Serving size is approximately 4 ounces per person.